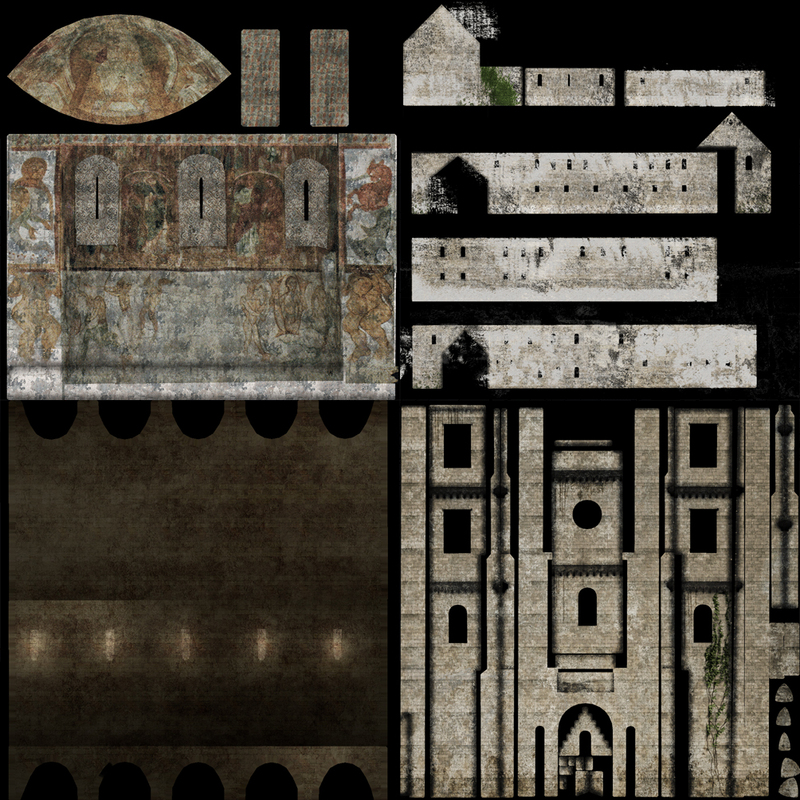 We were asked to virtually reconstruct a Romanesque abbey found near Kecskemét, Hungary. 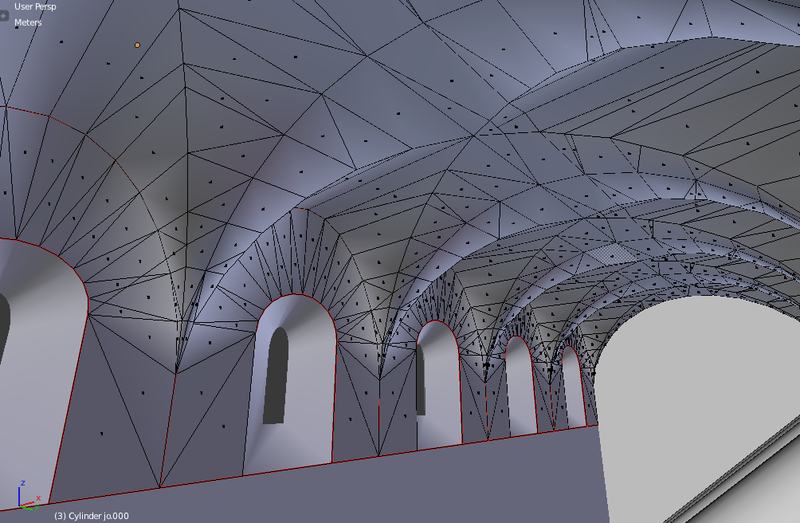 Based on so little data from the excavation a handsome of other 12nd century monasteries from the region was used as reference for the interior and the cloister – the main model of the bounding walls was given. In the simulation one can choose from 3 different views by selecting one of the physical cubes. massive quality, thick walls, small openings, round arches, sturdy piers, groin vaults, large towers and decorative arcading. The inner space was surrounded by round arched arcades and the living-quarters. A small carved drinking-well also beautifies the center. 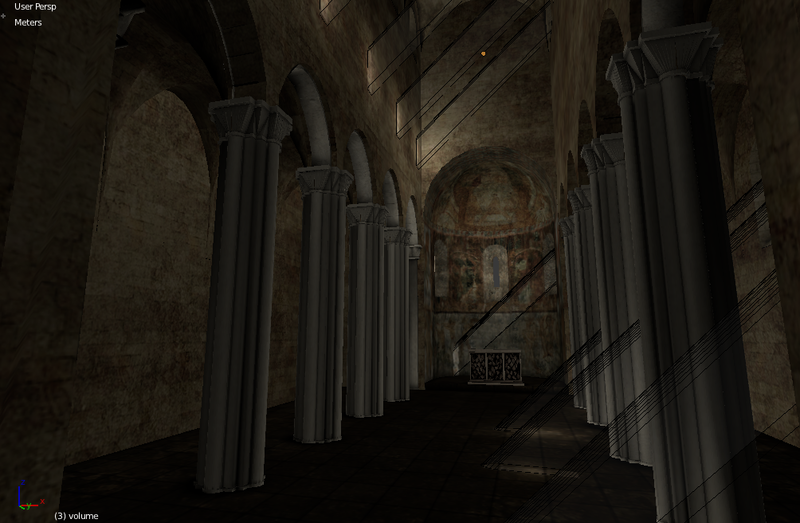 Typical romanesque groin vaults, basilical lighting and a high apse with a fresco are all features of the interior. I was using blender again because I am trying to completely switch. 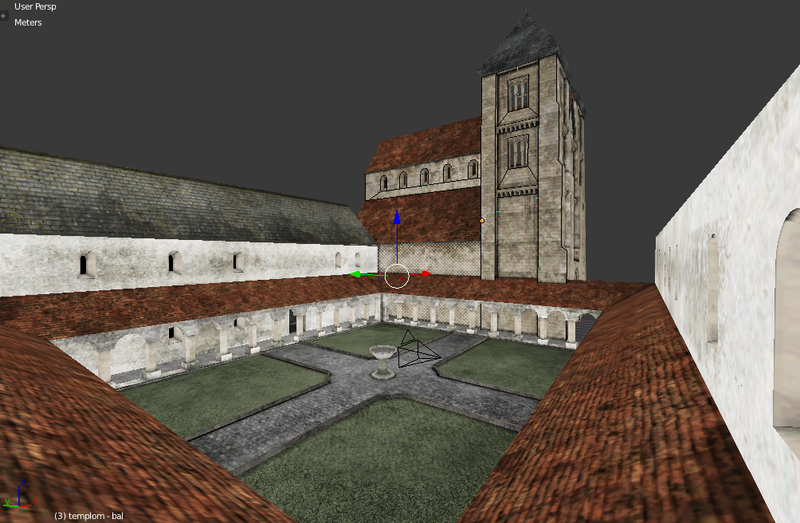 As of a game-engine project I was forced to reduce polygons and image sizes. 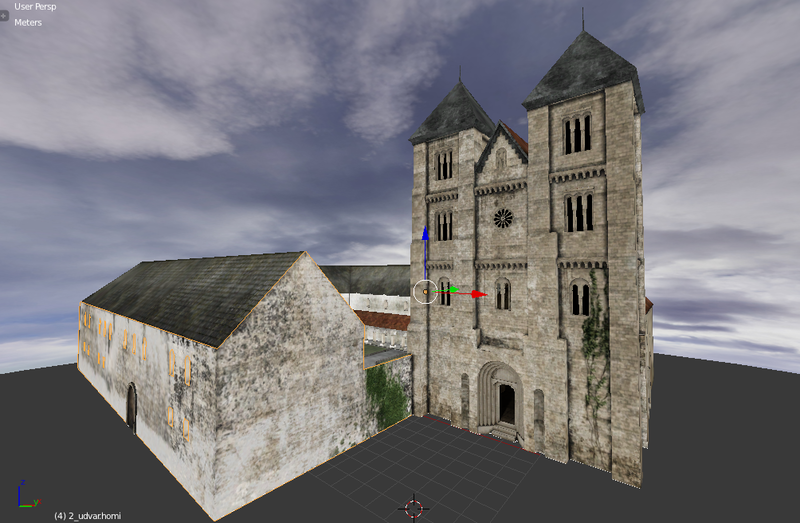 The final mesh consists around 60k polygons and more than 40 mid- to high definition textures. the project was commissioned by E8 Lab.